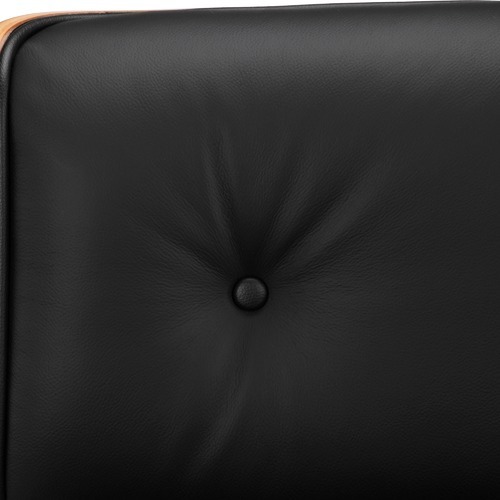 This Executive Office Chair stands out from all others, thanks to the premium top-grain black Italian leather upholstery. 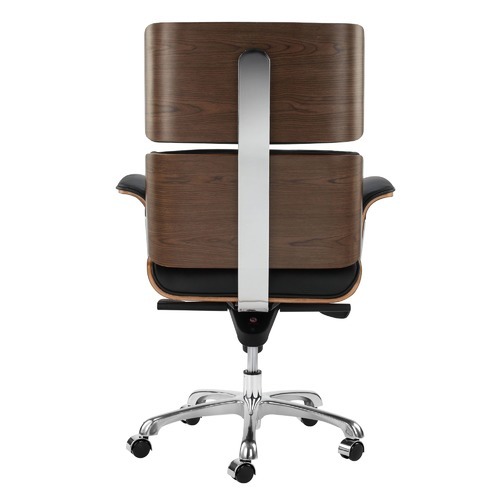 The chair is constructed with three curved plywood shells of a highly durable construction, with a seven-ply walnut veneer finish. 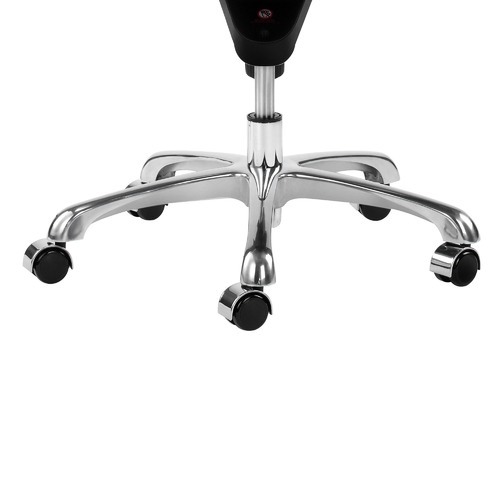 The stunning furniture can also be locked back on any angle with a special tilt adjustment mechanism. 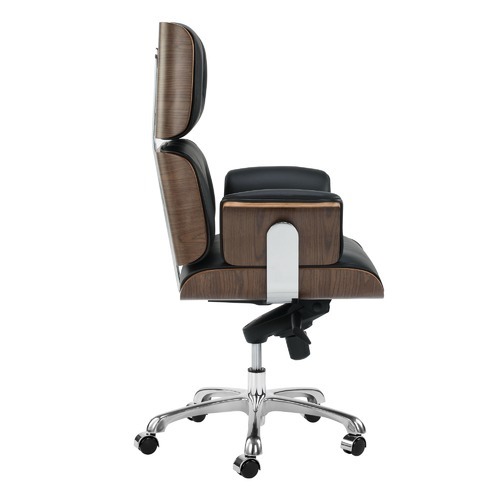 This luxury office chair is a fine piece that you'll enjoy spending time in. 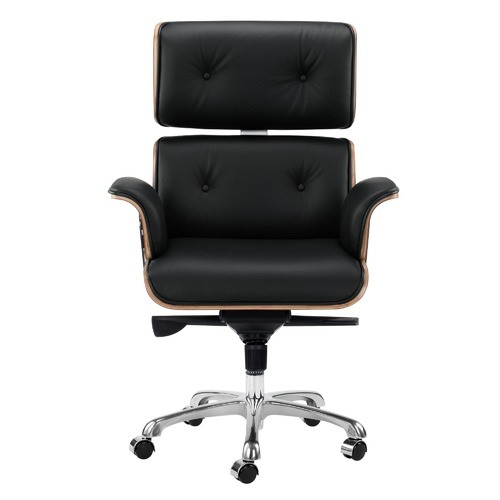 When you buy a Eames Premium Leather Replica Executive Office Chair online from Temple & Webster in Australia, we make it as easy as possible for you to find out when your product will be delivered to your home in Melbourne, Sydney or any major city. You can check on a delivery estimate for the Milan Direct Part #: YSELOBKL here. 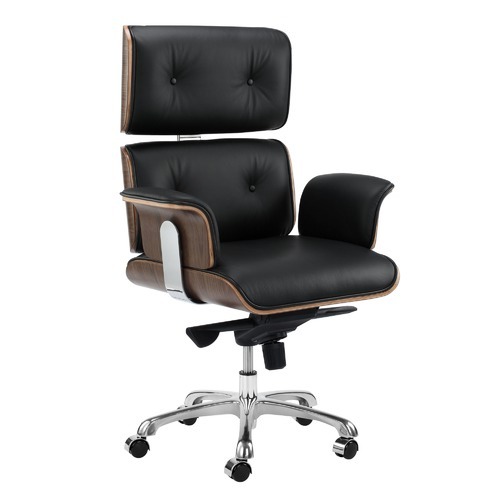 If you have any questions about your purchase or any other Office Chairs product for sale our customer service representatives are available to help.Whether you just want to buy a Eames Premium Leather Replica Executive Office Chair or shop for your entire home, Temple & Webster has a zillion things home. I received my chair within five days of ordering. Very happy with it, with the exception of a small dent in the leather of the inner arm. Looks like one of the parts supplied with it had been poking into to it, due to how it had been packaged. Too small a problem to return it. Otherwise very little assembly and super comfy. 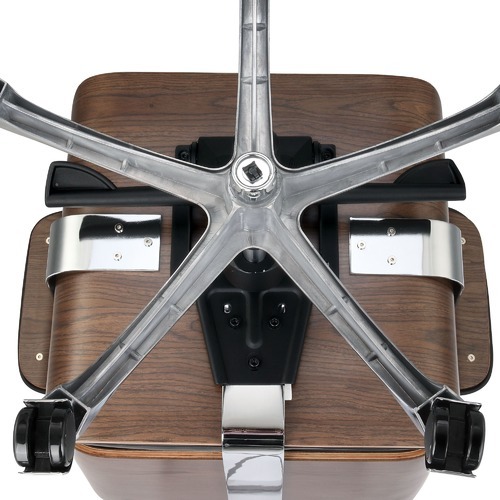 I ordered this chair as a gift and was generally pleased with what I received. The chair was mostly assembled and appeared to be quite durable. The leather did look a bit dull (like it had been in storage for a while) so I applied some leather conditioner which helped a lot. There was a tiny mark on the wooden panel on one of the sides of the chair, but not significant. 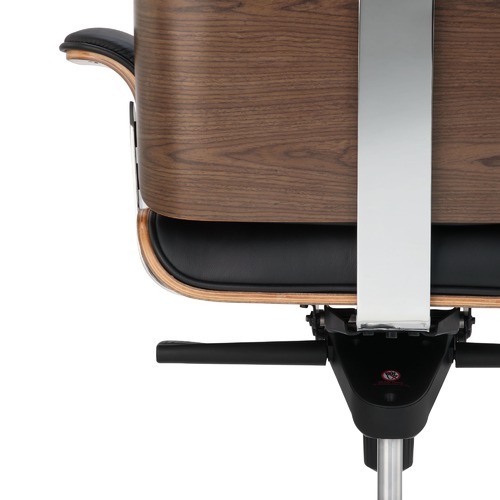 Overall, I would recommend buying this chair. The package arrives in an extremely large box shaped like a small piano so be warned because I had it delivered to work and then had to try to get it home. 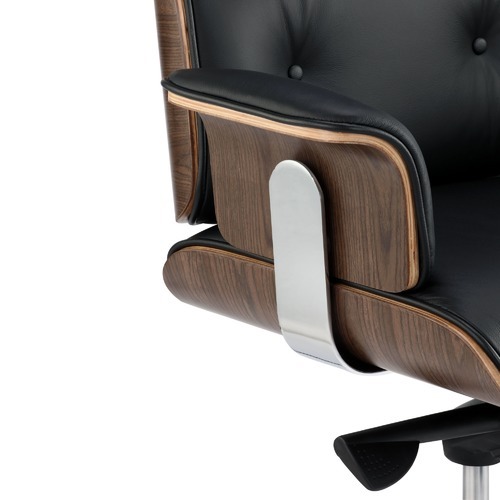 Love my new Eames replica office chair. Extremely stylish & comfortable. Arrived promptly and in perfect condition. It is everything I expected and more. High quality manufacture. Matches description. Beautiful leather and wood grain. Easy to assemble without tools. High back is too far forward needing a thin lumbar support pillow to avoid bad posture. Better than expectations and a fantastic price. Great service in store. Online purchasing a bit too clever ut go to the store to sort out is my recommendation. Very good chair, leather is great, a few corrosion marks on the chromed metal. Delivery good.